Thank you so much for last night. You did everything we wanted and more. Sorry we didn’t get chance to thank you personally. We’ll definitely recommend you to anyone planning an event. 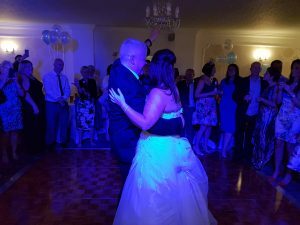 An absolute pleasure to be involved in Mr & Mrs Whitworth’s Big Day at Singleton Lodge Country House Hotel near Poulton Le Fylde. 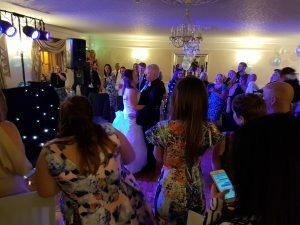 They booked top local wedding DJ Andy B to play for their evening reception. They also hired Asa Elliott (of Benidorm fame!) 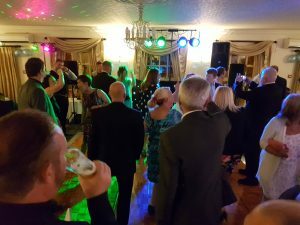 to provide live vocals for the early evening (including singing the first dance live). Fab party!